Meyer began his activist career campaigning for all those like Chico whose only wont is to continue living sustainably under the rainforest canopy. The movement aimed to protect the home of ‘the forest peoples’ against the loggers, rancher and broad-acre farmers keen to tear it all down. It was through campaigning around a petition called ‘Save the Forests, Save the Planet’ that Aubrey Meyer’s name became familiar to the letters page of The Guardian. Then in 1990, influenced by the 1st IPCC Assessment and the 2nd Global Climate Conference, Meyer broke away from the UK Green party that he had joined two years earlier, and away from his work for the preservation of primitive ways of life. Now convinced of the overwhelming urgency to tackle the climate problem, he set up a new group still advocating for the world’s poor, but now for their economic advancement and in the emerging arena of the global emissions treaty negotiations. A new petition pointed out that it is the already-developed countries ‘who created and who continue to exacerbate this global crisis,’ while ‘the majority of the people are struggling to meet basic human needs.’ While the majority are too impoverished to generate more than the minimum of emissions, it is the ‘luxury-based activities‘ of the richer nations mostly causing the problem. Petitioning for rich countries to take responsibility and to take immediate corrective action, Meyer’s group succeeded in collecting nearly 50 signatures from UK parliamentarians. And they might well have achieved similar support across continental Europe as they pointed the finger squarely at the USA, the greatest offender, for its refusal to commit to any emissions target. Thus, we find Meyer, active early in the stand-off with the USA—a full two years before the Rio Earth Summit introduced the climate treaty framework. And we should remember that the US resistance would only be accentuated by the ascendance of the Clinton-Gore Administration in 1993. While the environment movement and a strengthening science lobby were working for climate action in concert with a sympathetic administration, the US Congress dug its heels in, refusing to even consider any emissions agreement that did not include an immediate commitment from the poorer nations. Lobbying on the other side was this tiny group of activists pamphleteering out of Meyer’s cramped London digs when they were presented with a whole new opportunity for engagement. In November 1992, at its first general meeting after the Rio Earth Summit, following a presentation by the IPCC Chairman, Bert Bolin, the IPCC had decided to reform its Working Group III for its 2nd Assessment so as to give its entire focus to the neglected ‘economic and social dimensions‘ of the problem. This is how the IPCC contrived the belated entry of the economists. Not that their new ‘green economics’ was exactly ready for assessment. A new method of accounting had only recently been formulated to incorporate environmental value into the equation of wealthy economies. At the end of 1992 this was less than half baked, with only a few incomplete recipes rushed to the table. Yet, within the policy space suddenly opened up by the new treaty framework, there was now a burning hunger for global Cost/Benefit evaluations to support global action. The selected expert authors could do nothing for it but rush though the simultaneous publication and assessment of their first feeble attempts to globalise their earliest erratic estimations. Meyer was already familiar with this ‘sustainable development’ economics and the first push toward a globalised analysis. In fact, he named his new group, the Global Commons Institute (GCI) from a chapter heading in David Pearce’s second book on ‘greening the world economy’ (Blueprint 2). Along with other NGOs, the GCI attended the inaugural Plenary of the newly re-constituted Working Group III in May 1993. There they forged alliances with poor nation delegations who advocated for their continuing participation. In response, Bert Bolin invited the GCI to present a paper at one of the Group’s workshops on ‘equity’ that following November. For Working Group III authors, a pushy NGO proved hard to avoid. The climatologists of Working Group I might well complain, but our economists never had it so easy. Whereas for Working Group I the NGOs were permitted little more than feedback on their drafts, for Working Group III interest groups were encouraged to participate at scoping sessions and exploratory workshops. This opportunity was not wasted on the GCI. Meyer even boasts of a successful campaign to block the selection of perhaps the most obvious candidate to lead the damages assessment, William Nordhaus. He had published the first, rather circumspect, global damages estimation in 1991. And even before any draft was circulated for review, the GCI was already petitioning against the methodology of its authors. This early involvement explains how the dispute first broke into a public controversy so early. In fact, it broke before the Working Group Plenary convened for the line-by-line approval of the Policymaker’s Summary (July ’95 in Geneva—the WG III equivalent of WG I’s Madrid). It broke before the government delegations had even been sent the final draft of the Chapters. And it broke at a much grander forum. The ruckus in Berlin that April led to an entire bloc of delegations at the Working Group Plenary in July refusing to accept neither the Policymaker’s Summary nor the underlying Report unless Chapter 6 were changed. 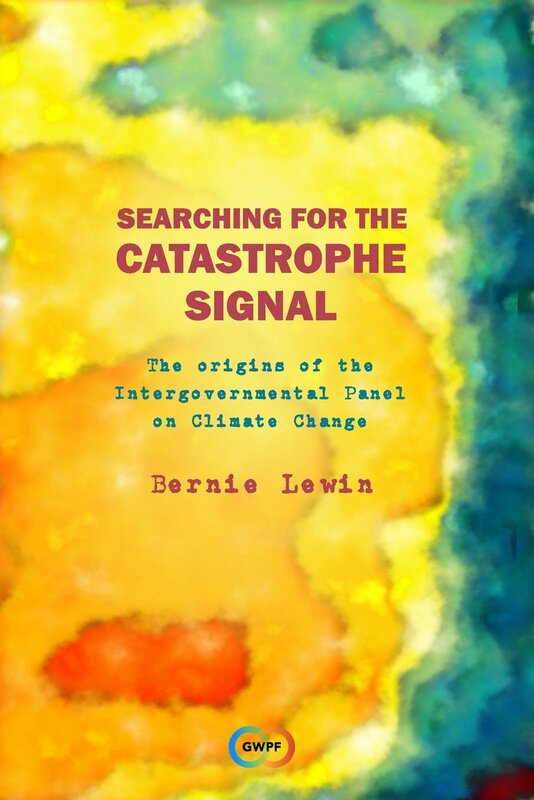 The Chapter authors held fast in rejecting such intervention as against the IPCC rules. They would not change the Chapter and nor would they accept a Summary that contradicted it. They did agree in a side group to a re-drafting of the disputed passage of the Summary. But, when this was submitted to the Plenary 10 minutes before it was meant to close, the protests began and the meeting collapsed with the matter entirely unresolved. Even after reconvening in October, when approval was nominally achieved, the authors never accepted the Summary and the debate continued in the press, with calls on both sides for the Chapter to be completely excised from the published report. How had it come to this? The task set for Chapter 6 was to assess the research on ‘The Social Cost of Climate Change.’ This is about estimating the damages that climate change is likely to cause—to give it a monetary value. The purpose of such a costing would be to weigh up the benefits of committing funding to strategies of adaption or mitigation. A full Cost/Benefit Analysis (CBA) of climate change requires giving an economic value to that which we indeed value, but which is fully, or partially, outside the market—and this is where sustainable development economics comes in. Previously, natural resources, for example a rainforest, would be attributed little or no economic value. That is to say, a forest’s full value, as it stands for now and the future, would not find expression on the accountant’s ledger. The idea is that if the full value were somehow expressed in the economic system then this would aid the preservation of those forests that the society considers worth preserving. Not only forests but other non-market values can be given a ‘market-value-equivalent’ in various way, usually by establishing a ‘willingness-to-pay.’ By somehow determining what people might be prepared to pay for a non-market value, market equivalence can be achieved. And likewise for damages—or the loss of value—damages can be determined by finding out how much people are prepared to pay to avoid the loss. This brings us final to risk, where we can determine how much folks are prepared to pay for assurances against the risk of a loss. One social cost of climate change outside the market is human health and wellbeing. This is something for which we are willing to pay a great deal. And dominant in the economic assessment of health is what we are prepared to pay to avoid death. This should not be thought of as how much an individual would pay to avoid certain death, rather it would be how much an individual or society would pay to avoid an increased chance of death. Once such an economic ‘Value of a Statistical Life’ (VOSL or VSL) has been determined, it can be used to calculate the value of risk reduction. Such calculations are often implicit behind individual choices over spending on safety measures and insurance, and they are often explicit in the determination of safety standards for food, drugs, vehicles, buildings, infrastructure and so forth. Now, if we return to the problem of climate change damages, it has been assess that the doubling of the atmospheric CO2 concentration will lead to a few degrees of warming, and that the direct effect of the extra heat on human health will net more than 100,000 extra deaths per year. The task of assessing this ‘damage’ is to calculate a total economic value for these lost lives. Aggregations of this valuation with other damage estimates can then serve for comparison with the cost of various ways to reduce, or eliminate, these losses through mitigation or adaption. And it turns out that in these early attempts at climate change damages assessments, the valuation of lives is generally so great and so variable that it alone could determine whether the overall level of damages comes in above or below the cost of the various expensive proposals for mitigation. Thus, if we subscribe to this methodology, then the determination of the economic value of a human life becomes critical not only to the determination of how dangerous is climate change, but also the determination of what to do about it. For many years prior, the economic valuations of life had been used in the Cost/Benefit Analysis of health programs such as inoculations and screenings. Since the 1980s it has been used to justify taxation on tobacco and it also started to appear in the sustainability problematic of wealthy nations—where the costing of morbidity and mortality is accounted into the benefits of pollution controls. In these sorts of cases the economic value of life is usually deemed constant across the economic system in which it applies. However, with the new global problem of climate change, to be addressed by a global treaty, a new global CBA requires a variability in the valuation of life more or less in accordance with the relative wealth of the local economy. The variability is due more to differences in ability to pay than to any differences in willingness. And it is with this requirement that the Price of Life Controversy began—with the tables of the differential value of a human life given in US dollars and effectively determined according to the relative wealth of nations. Is the death of an overweight American from heatstroke a greater loss to the world than a Bangladeshi farmer struck down by a tropical cyclone? Economists advising the world’s governments on how to cope with global warming say yes. And their answer poses a new threat to the climate negotiations beginning in Berlin this week. A week later New Scientist reports on a speech in Berlin to a municipal leaders meeting by ‘a prominent green economist,’ Paul Ekins of Birkbeck College London, where he describes the damage assessment as the ‘economics of the madhouse.’ Of course, at this stage the report was not finalised—circulating in a draft clearly marked ‘not for quotation’—but it became public property after the Indians brought the GCI campaign to the treaty talks in Berlin. …that the cost of reducing greenhouse gas emissions would probably be greater than 2 per cent of Gross World Product (GWP). While the losses if greenhouse gas emissions were not curbed would amount to only 1.5 to 2 per cent of GWP. The implication, Aubrey [Meyer] argued, was that if these figures were allowed to stand it would mean that the world community would do very little to slow the warming because it would believe it was cheaper not to. The author of this newspaper report is in fact a member of GCI but other journalists and delegates would also follow the GCI lead in making a direct comparison of these two figures from two parts of the Assessment—mitigation costs (>2%) against annual damages at 2xCO2 (1.5 – 2%) — a comparison that is not entirely fair (as Pearce would later explain). All the same, the conclusion is more or less right: the total damages are assessed in a range that goes nowhere to support actions beyond those that are either cheap or that we might do anyway for other reasons. Whereas, if all life were valued at the rich country rate, or in according to different criteria suggested by the GCI, then the damages due to Climate Change would be assessed much higher, and so they would justify the more drastic and expensive action aimed at stopping global warming altogether. Unfortunately these alternatives methods of calculation were not in, or supported by, the peer review literature. On this bases alone the Chapter 6 authors could, and did, refuse repeated demands to include these alternative calculations in their Assessment. The key question which now also arises is this: are all human lives equally valuable or not? Moreover, should economists employed by the nations responsible for causing the problems of climate change, have the job of valuing the lives which are going to be lost? And even more to the point, should they value the lives of the people who are not responsible for creating the climate changes, as less valuable than the lives of those responsible? Surely we all have a fundamentally equal right to be here: surely each person is equally valuable in this fundamental way? So far the global cost-benefit analysts say no, this is not the case. In his critiques, Meyer also elaborated concerns about the level of uncertainty. Even if we accept the methodology of Global CBA, the Report appears to ride roughshod over the layers and layers of uncertainty and the gaping holes in the data (see Meyer and Cooper 1995 pdf ). These inadequacies are indeed elaborated in the Report to such an extent that they seemingly preclude a quantifiable result within any meaningful range. Yet, a positive result is declared, it is well defined and it is presented unqualified by a confidence interval. In the introduction to Blueprint for a Green Economy [1989, p 13-14] Pearce reminds us that any uncertainties about economic impacts of greenhouse gas emissions ride on top of the uncertainties about regional impacts on sea level and climate (he mentions the limitations of the climate models), and these in turn ride on top of the uncertainties about the climate sensitivity (he mentions especially the problem of cloud feedback). Yet, in Chapter 6 the economic damage resulting from 2xCO2 is presented in a precise range of one two hundredth of GDP. Even if the expected impacts of the business-as-usual scenario are taken as given—as solid, definite certainties—then equating 2xCO2 with 1.5% to 2% damage to GDP still remains an incredible declaration when we consider the level of success that economists have in predicting other impacts on GDP more than a few years in advance. It was not only the GCI who were concerned this quantification of damages within a 0.5% range might mislead policymakers. Others began to speak out, including Michael Grubb from the UK RIIA and a lead author of the Report’s Chapter 2. Grubb is quoted in the press saying that this damages estimate is ‘ridiculously definite.’ He considered that such an accurate assessment at this time is impossible. And the inter-governmental Plenary seemed to agree. But when they agreed to replace the figures with the words ‘a few percent,’ Pearce was outraged. While Tol was fighting on the floor the various distortions and interpolations introduced under GCI influence into the Summary for Policymakers, it was the removal of this aggregate damage estimate that angered Pearce the most. He saw the removal of these figures from the Summary as a direct attack by a misinformed Plenary on the scientific integrity of his report—and their removal remained Pearce’s principal concern long after publication [see here]. The calculations the governments are being asked to endorse are profoundly unreliable and could provide an excuse for them to do nothing. By placing such a low value on the lives of most of the world’s people they seem to endorse the economics of genocide. Is this really what sustainable economics amounts to? The blueprints for universal and sustained prosperity is realised into the cold-hearted reasoning of an Orwellian nightmare. How could this UN process have come to this horror so soon after launching onto the world stage that marvelous vision for a prosperous common future on this planet? This entry was posted in Climate Change Science, History of Climate Science, Politics of Climate Science and tagged Aubrey Meyer, David Pearce, Global Commons Institute, IPCC Second Assessment, IPCC Working Group 3, Richard Tol, Sam Fankhauser, sustainable economics, the social cost of climate change, the value of a statistical life. Bookmark the permalink. The report notes many observed changes in the Earth’s climate including atmospheric composition, global average temperatures, ocean conditions, and other climate changes. “The economics of genocide.” Alarmist? Sounds pretty rational and down-to-earth to me.